Slip car wash mitt on, wipe grime off! 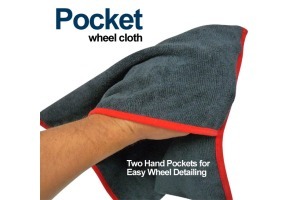 Washing your car really is that easy with the Autofiber Zero Cuff Wash Mitt. Give yourself a break and let the hundreds of extra-long microfiber mitt strands covering this 6 x 9-inch double-sided wash mitt clean your car in record time. Each strand is made up of millions of microscopic fibers that lift and trap grit, grime, and organic compounds inside the billions of tiny spaces surrounding each fiber. Since this chenille car wash mitt is made using only the finest microfiber available, there s never any need to worry about damaging scratches or unsightly swirls. Microfibers unique capillary action lets this chenille car wash mitt absorb seven times its weight in water. Yet all that water won t tire hands and arms. Even when wet, you'll be amazed at the nearly effortless way the microfiber car mitt's extra-soft surface glides across paint. One good shake in a bucket of clean water releases trapped material. The simple cuff-less design of this chenille car wash mitt minimizes the possibility of the cuff scratching, and allows for easy rotation so both sides can be used. Although the large car wash mitt looks like an unstructured rectangle from the outside, there s actually a hidden line of stitching so you can grab hold and be in total control, even when washing hard to reach lower areas. More than a microfiber wash mitt, it's a duster, too! The Autofiber Zero Cuff Wash Mitt works great on your car s interior, too. Used dry, a single swipe across the dashboard and other interior surface is all it takes to attract negatively-charged dust particles to positively-charged microfiber mitt. For a cleaning tool with a closer grip and more control, consider our chenille wash mitt with banded cuff. Premium 80/20 Polyester/Polyamide (nylon) fiber blend - Reduces Scratching, swirling and washing time. Machine washable convenience – Just machine or hand wash separately or with other microfiber items in warm water and mild detergent or hand soap, rinse, and air dry. Bleach and fabric softeners are not recommended for use with this chenille car wash mitt. Superabsorbent and nonabrasive – Can be safely used wet or dry. 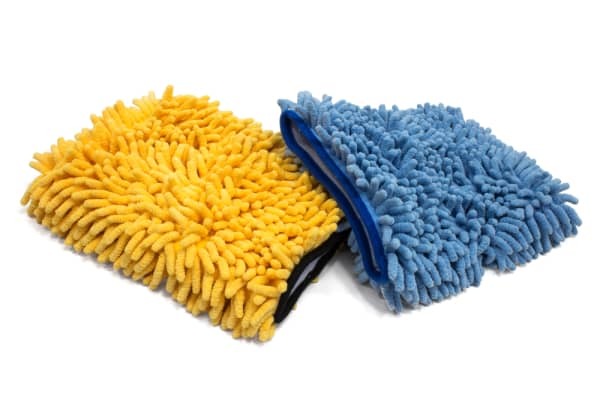 More effective cleaning ability – Uses less water and cleaners and that saves you money. Long lasting - No Foam inner + Proper care = less wear and tear.